Aging is an inevitable fact of life that all of us will have to come to terms with at one point or another. But just because we are getting older, does not mean we have to look like we are. Cosmetic procedures, including a facelift, can help remove years off of your skin, keeping you looking younger and making people wonder what your secret is. Your skin will show signs of aging for an array of reasons. One factor is the loss of collagen gradually, which eventually leads to wrinkling and sagging of the skin. This is a natural reason for changes in your skin. Another piece to the puzzle are environmental factors, which includes pollution, sun exposure, and even smoking, which can cause you to lose collagen more quickly as well as creating a rougher and more wrinkled texture. A facelift can change your face in many different ways. Typically with a facelift procedure, any excess tissue will be removed and the loose skin will be tightened. Done well, a facelift will rejuvenate your face and neck, leaving you with a more youthful face shape as well as the return of a youthful jaw contour. Any excess or sagging skin will be tightened and lifted while the underlying muscles are softness, giving you a natural and youthful appearance. 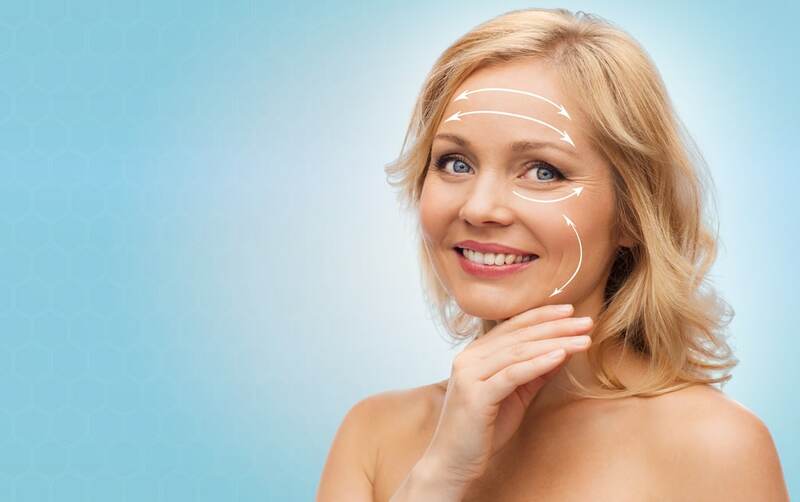 The skin that is most affected by a facelift is the skin over your cheeks and around your mouth, lifting up the skin that is sagging around your mouth and giving you back the contour to your cheeks and face shape. You will also see tightening in the skin of your neck, which suffers from the same loss of collagen that your face does. Your brow line and forehead will not be affected by a facelift, though some patients do request to have an eye lift or brow lift in conjunction to a facelift. A facelift removes any jowls that have developed over time as well. Why does a Facelift make you look younger? As sagging and wrinkling of the face is a natural indicator of age, you can usually guess a person’s age simply based on how his or her skin looks. If you remove the markers of age, allowing your skin to be tightened and softened, those giveaways are removed. As a result you will have an ageless appearance that will keep you looking young, no matter what age you are. Outside of looking younger with a facelift, there is another benefit that should not be ignored. When you look the age that you feel inside, you will find that you are more confident. This confidence will cross over into different areas of your life, including both your romantic relationships and your work life. You will present yourself as youthful and the image of good health, which will allow others to have confidence in your success and ability that goes beyond age.